Dementia-Mama-Drama: Memories of Mama Meeting Minnelli - Happy Birthday LIZA! 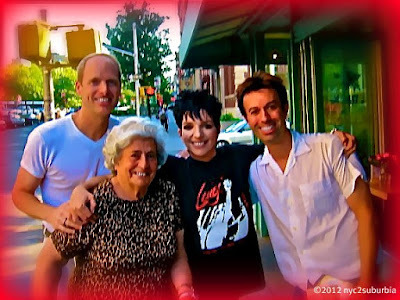 Memories of Mama Meeting Minnelli - Happy Birthday LIZA! There are certain things in your life that you never forget. The first time Mama met Liza Minnelli was one of them. 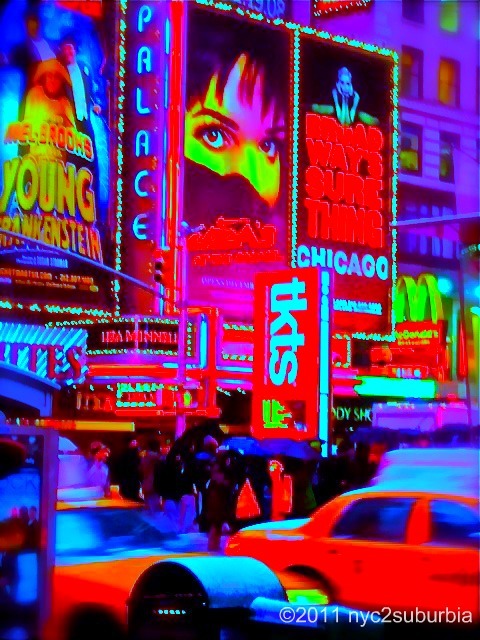 Meeting Liza epitomized the NYC experience that we miss. It was a chance meeting on the street, no anticipation, just a typical day in NYC! My husband & I were walking on Hudson Street in the West Village to visit Mama at the Village Nursing Home. As we were walking past a restaurant this animated woman caught the corner of my eye & I slowed down. Could it be? No way? Is it? OMG, it is!!! 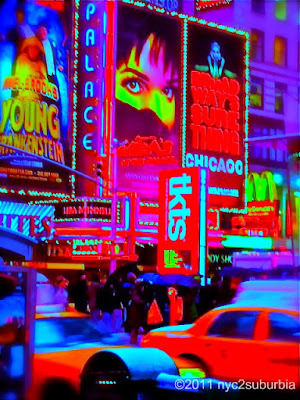 I said to my husband, there's Liza Minnelli! Slow down, stop & listen to me. He continued to walk & looked at me like I was nuts! I glared directly into his eyes & told him to go back to our apartment quickly, get the camera, a red marker & the Liza "Gently" CD. I must've looked possessed, because he quickly followed my instructions. I continued to "casually" walk across 12th Street to get Mama sitting on a bench outside the nursing home. I told her she had to get up quickly & walk to the corner so that she could meet Liza Minnelli. Well, I never saw Mama walk so fast with her walker! The three of us strolled by the restaurant & realized that Liza was now standing directly in front of us on the street smoking a cigarette. WTF? Liza is in our way & she's smoking a cigarette! Vin with a Z is taking Anna with a Z to meet Liza with a Z. We are Z'd to the max! Lightly tapping her on her shoulder, I introduced us to the one & only Liza. She was gracious, she was cordial, she signed the CD, she smiled & posed for a few pictures with us & she hugged us all. Liza kept talking & talking almost as if we had known her for years, just like you may expect Liza to do. She even called me "Daddy", since my name is Vincent, like her father, Vincente Minnelli (who also suffered from Alzheimer's). She made our day, but more importantly she made Mama's day! It was such a memorable meeting, even for Mama with Dementia... she never forgot that day. She kept the photo taken of the four of us by her bedside in the nursing home. I reminded Liza of the incident when running into her a few years later & she was very touched by it. Meeting Liza was an unforgettable experience. It meant a lot to Mama & I am eternally grateful to Liza for being so giving to Mama during a chance meeting on a NYC street. Mama remembered the incident often & fondly, so Happy Birthday LIZA! May you continue to bring joy & share your love even with "strangers on the street". You are one talented, generous Dame... so enjoy your birthday & know how much you are loved!